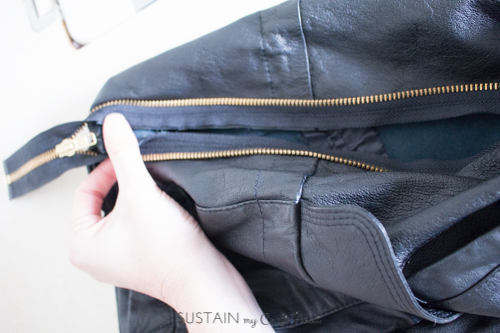 Upcycling an old thrift store men’s leather coat into a new DIY bag? NOW this was a fun project! 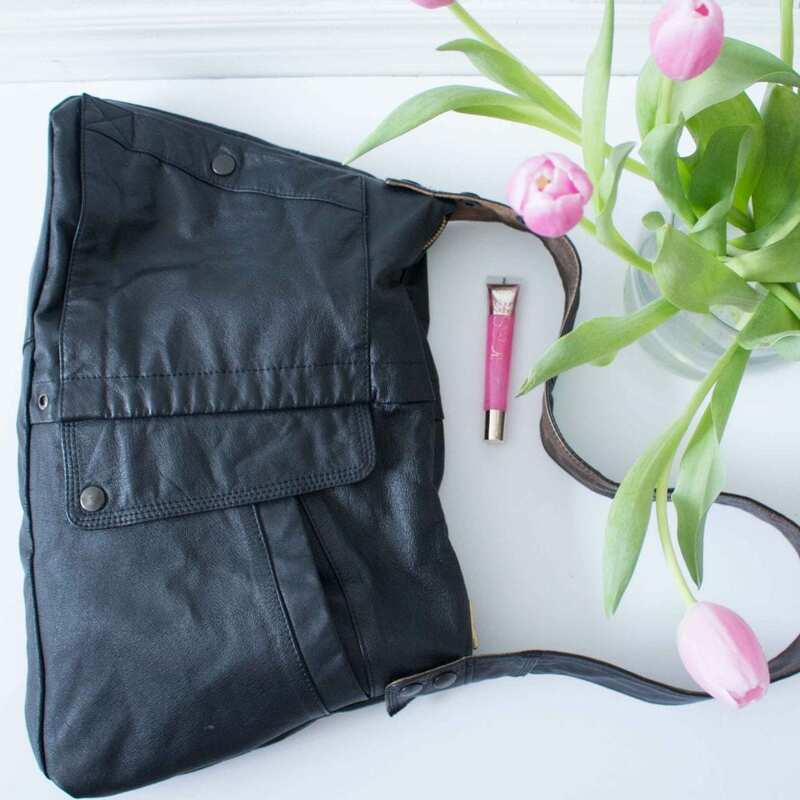 Not only because I got to make a new handbag to hold all my fun spring things (i.e. my daughter’s papers, toys, snacks and dance class supplies), but it also gave me an opportunity to dust off my old Juki (also known as industrial sewing machine), which has been neglected and collecting dust for some time. 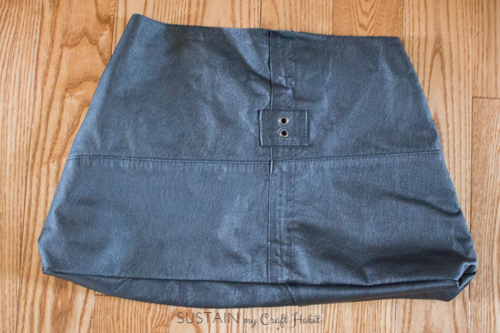 April’s #12monthsofDIY challenge was to give new life to a thrifted item. Since this is something we love to do throughout the year, it was definitely a project we’ve been looking forward to for months. Best of all, it gave us an opportunity to go shopping TOGETHER, which rarely happens. 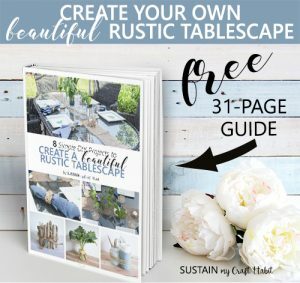 For those of you who are new to this creative challenge, we join up with 11 other Canadian DIY and home decor bloggers, each of us using the same material each month to create an inspiring DIY or craft project. And if you missed it, you can check out all of last month’s projects using Mineral Fusion Paints including our Beach-Inspired Farmhouse Dresser Upcycle as well as February’s projects using one yard of fabric including our DIY Linen Napkins and Nautical Napkin Rings. For this month the “material” could be anything we could find at Value Village for under $25. in North America we throw away more than 81 pounds of clothing and textiles per person each year? as one of the largest recyclers of used clothing in the world, Value Village keeps more than 650 million pounds of clothing and housewares from landfills? Value Village responsibly recycles any items that are unsuitable for sale in their stores? 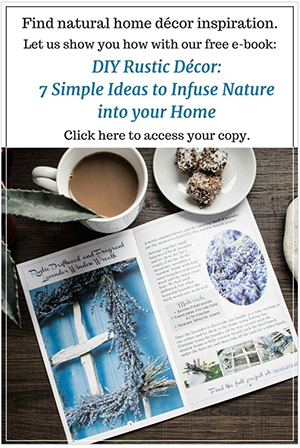 With shelves and racks full of interesting items and materials it was a great time to #RethinkReuse and be inspired for the challenge. We scoured our nearby Value Village without any idea of what project we would do. Since we’d only recently made over a furniture piece, we decided to stay away from the furniture section. Although we briefly thought about a lamp re-do we remembered how many old lamps we already had waiting for makeovers and that our husbands would have given us the look had we brought home yet another one! 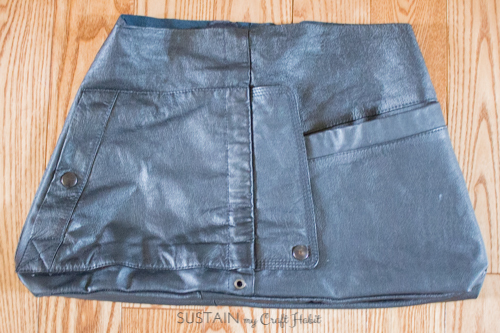 Looking at all the rows of apparel, we were inspired to upcycle some old, unwanted clothes. 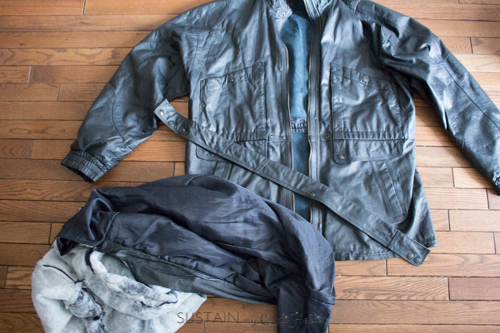 We found a men’s soft leather black coat and with a broken zipper that was just calling for a new purpose. 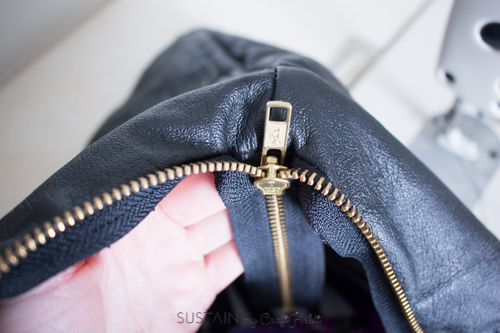 Replacing a zipper can be costly and besides, the style was pretty dated. The decision was made: we would transform this old $18 coat into a new leather handbag AND clutch! 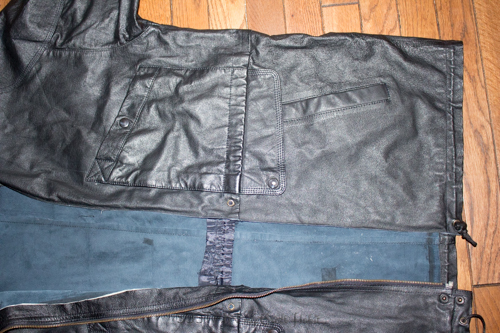 The coat we purchased had a lot of seams, pockets and panels all over it. 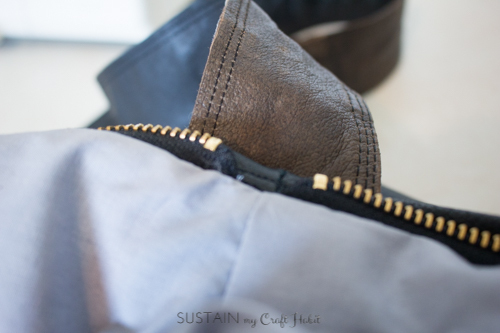 It took a little bit of thought to figure out the best way to cut the leather and to incorporate the seams into the DIY bag to give it extra character. 1. 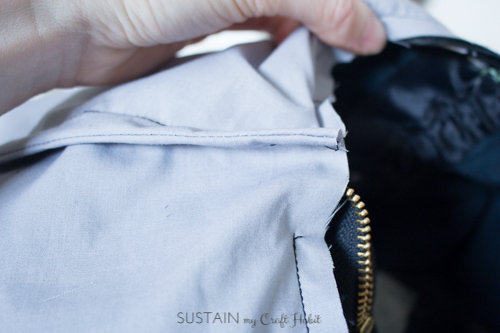 With right sides together, sew the base piece of the bag to the front and back pieces. 2. 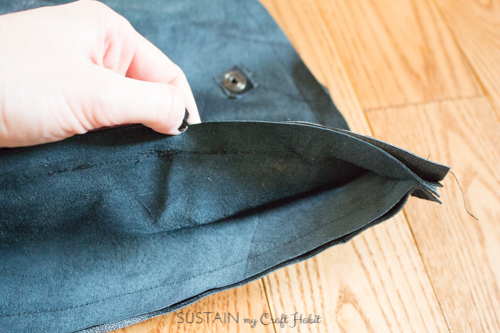 Hold the bag so right sides of the front and back pieces are facing each other and sew together along the sides. 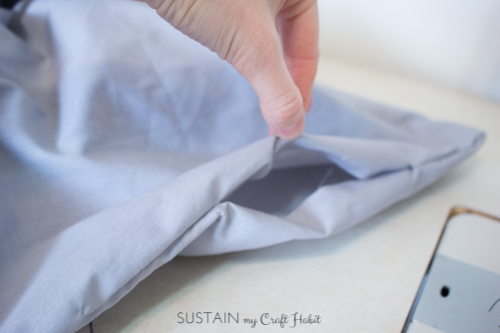 Ensure to fold up the base of the bag as shown. 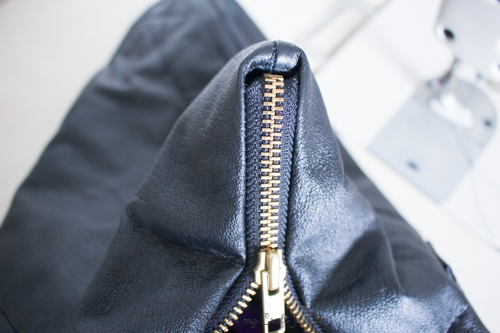 Attach the zipper to the handbag pouch. 1. 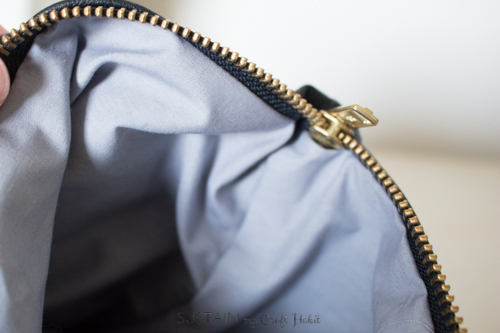 Starting with one side, lay the zipper tape over top of the right side of the bag along the opening. 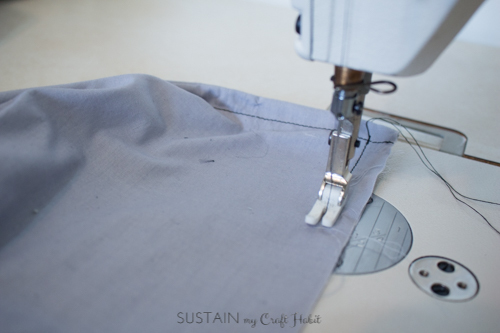 Start about 1” from the seam and sew straight along to about 1” from the other seam. Repeat with the other zipper side making sure zipper aligns properly. 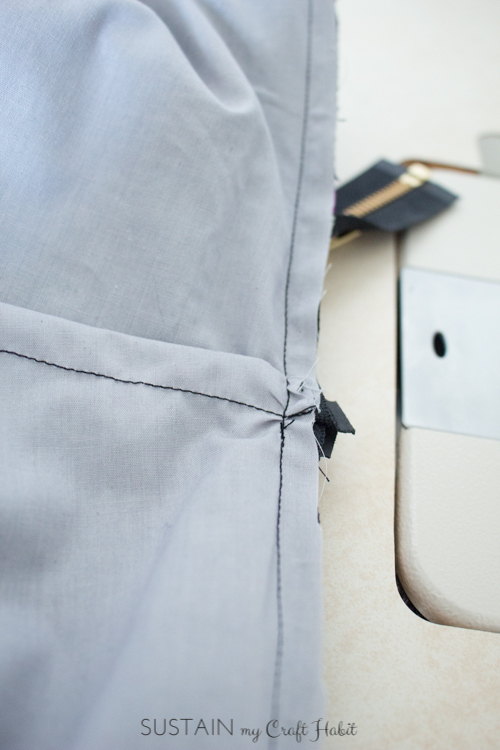 Fold the top of the zipper tape under and stitch in place. 1. 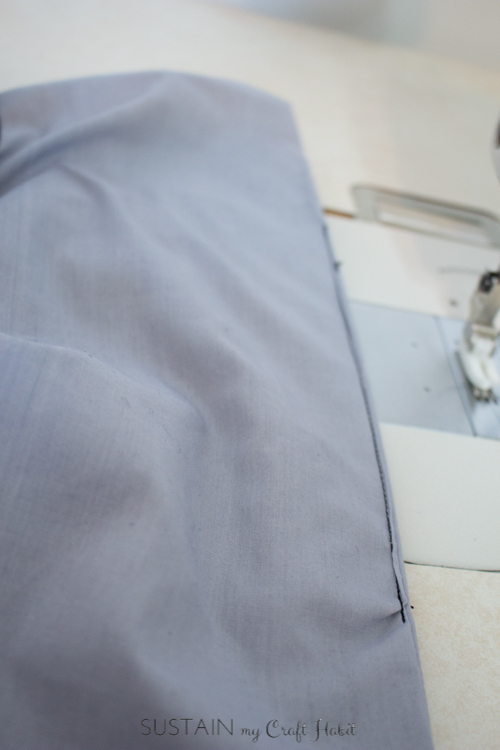 It’s best to do this step before attaching the lining. 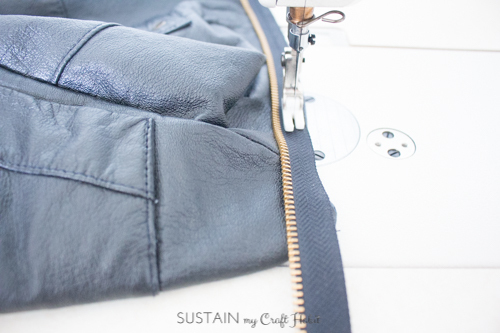 Stitch along the cut side of the leather strips for a nicer finish. 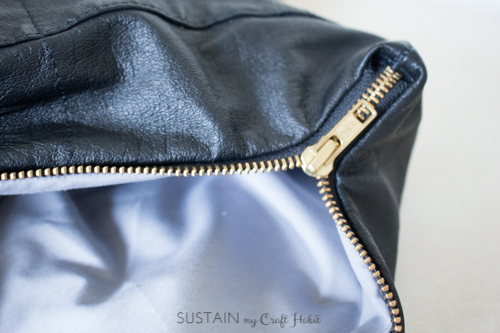 Sew one end of the strap to each end of the handbag pouch, just past the corners of the zippers. 1. 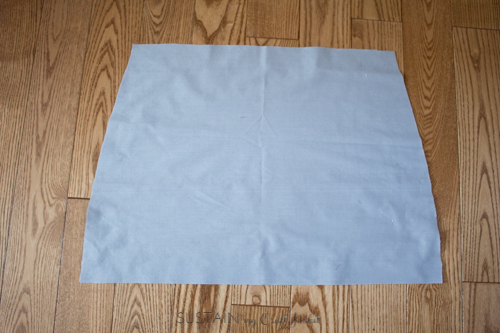 With right sides together, sew the front and back lining pieces together along the sides and base. Leave the bottom open/unstitched for about 4”. 2. 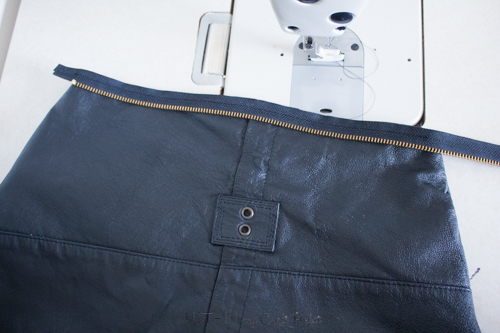 Attach the lining to the leather bag by stitching together along the opening and clean finishing the zipper tape. 3. Turn lining into the bag and stitch 4” opening at bottom of lining closed. Close the zipper and voila! 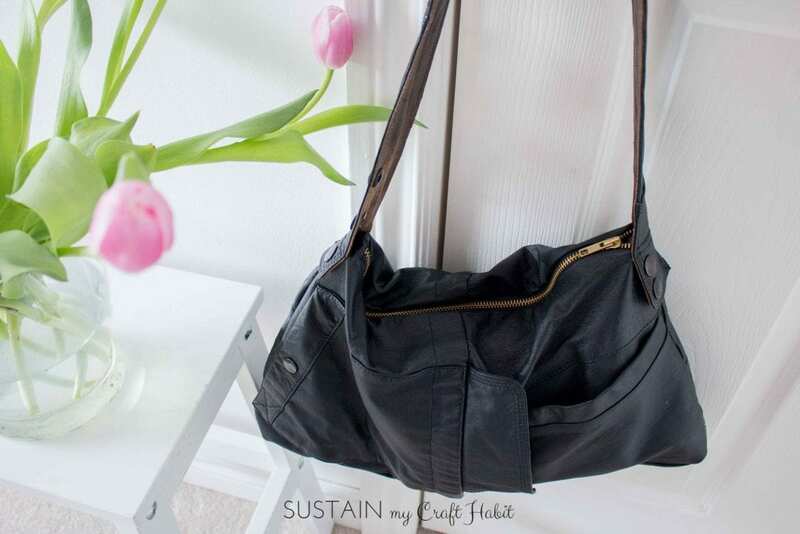 Your one-of-a-kind 100% genuine leather purse is complete and ready to use. 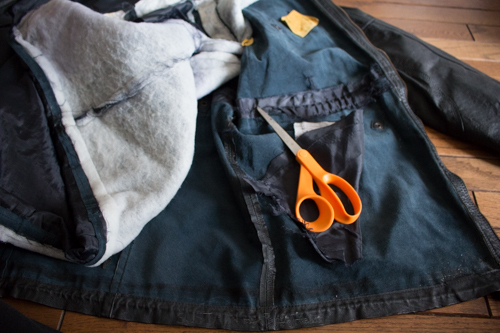 Since we only used half of the actual coat to make this hand bag, we actually have enough to make two of these DIY bags (Jane’s doing the happy dance)! 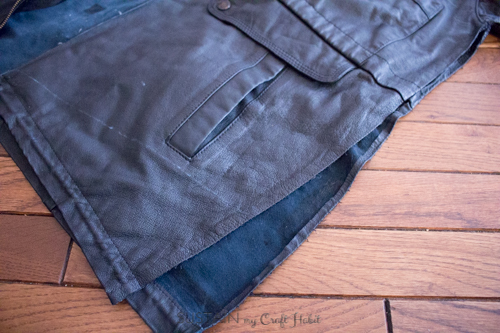 But for a little variety, we’ll be using the rest of the leather to make a simple clutch. Stay tuned for that DIY project coming soon! 1. 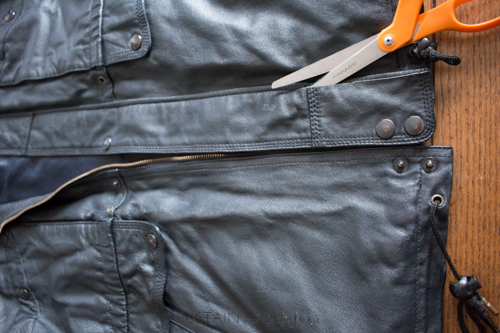 Avoid unnecessary stitches as each stitch creates a hole in the leather. 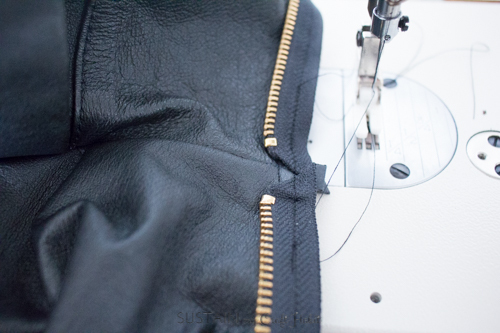 Too many stitches weakens the leather and can cause it to tear. 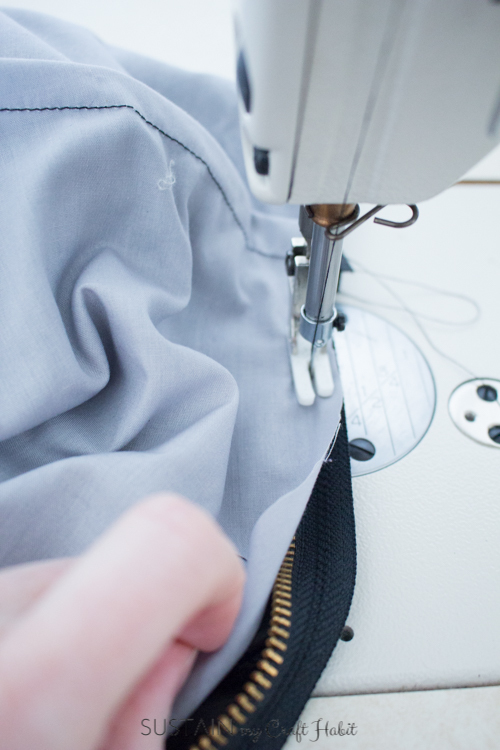 For example, instead of reverse stitching at the start and end of your seams, sew a few stitches then lift up your pressor foot and reposition back at the start. 2. 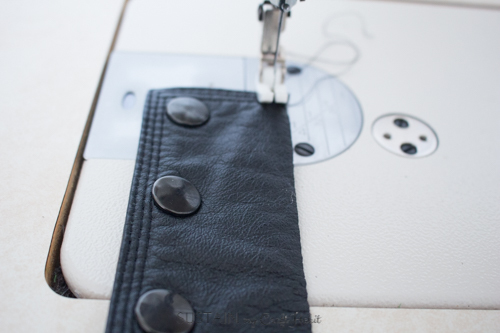 Using a pressor foot helps guide the leather along without damaging the surface. 3. 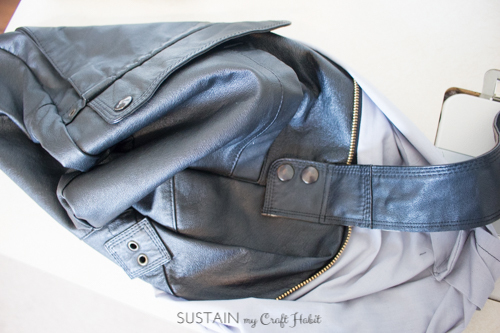 Leather has no grain line! So feel free to cut patterns in any direction. 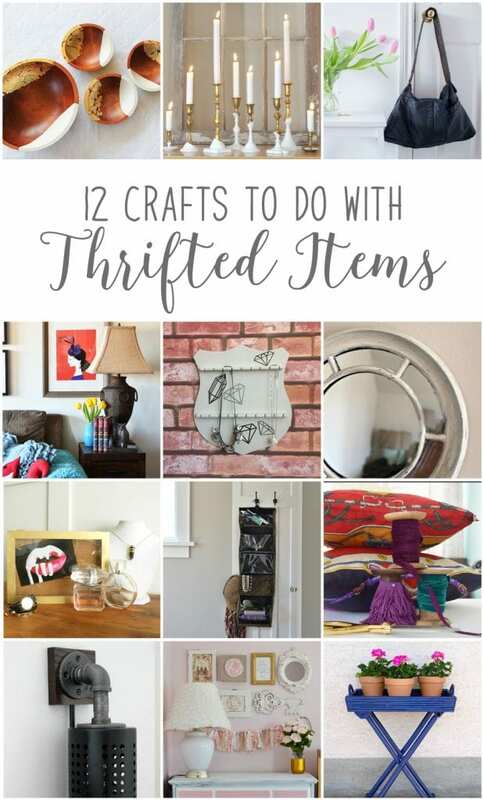 What great pieces have you found at a Value Village or other thrift store? 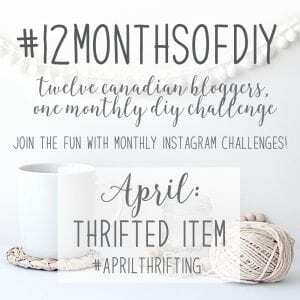 And now you have to check out all the creative and amazing DIY projects made by our fellow Canadian blogging friends with their thrift store finds! DIY Roll-N-Go Travel Bag from Vin’yet Etc. You are very talented! I’m 100% certain I could never do this. Great job re-purposing. Thank-you, Joann! 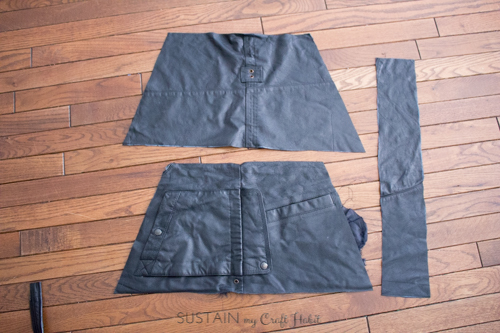 That’s very sweet:) It was a lot of fun to challenge myself to reuse as much of the leather coat as possible. Oh my gosh! 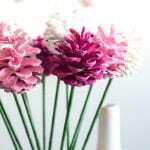 What a creative ambitious upcycling project! I am so impressed with your vision. 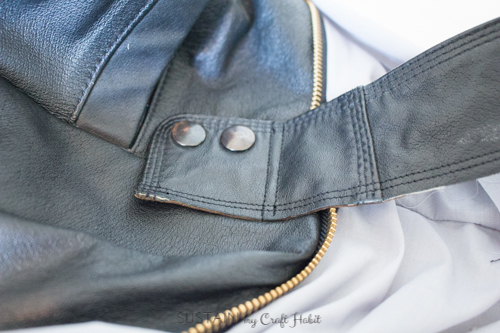 The leather handbag from a men’s leather coat is brilliant and looks fabulous! You are very talented when it comes to designing and sewing! Off to share! What a great idea! I wonder if I could do this with one of my old coats too! As always, great project ladies! Thanks, Ariel! I’m sure your would turn out great. 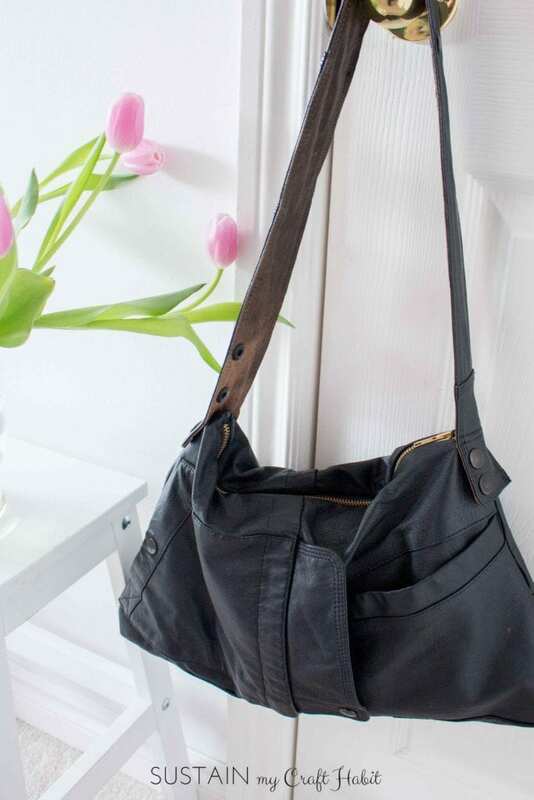 Now I’m thinking about making a larger leather tote bag so I’ll be heading back to the thrift stores soon! Wow!! I’m SO impressed! I definitely searched though the leather jackets for a jacket with one HUGE pice but couldn’t find one. Lol. This looks amazing though, great job! Strangely enough, all the seams in this coat is what drew me to it. I had no idea how I was going to make it work but somehow it all came together (I love it when that happens)! 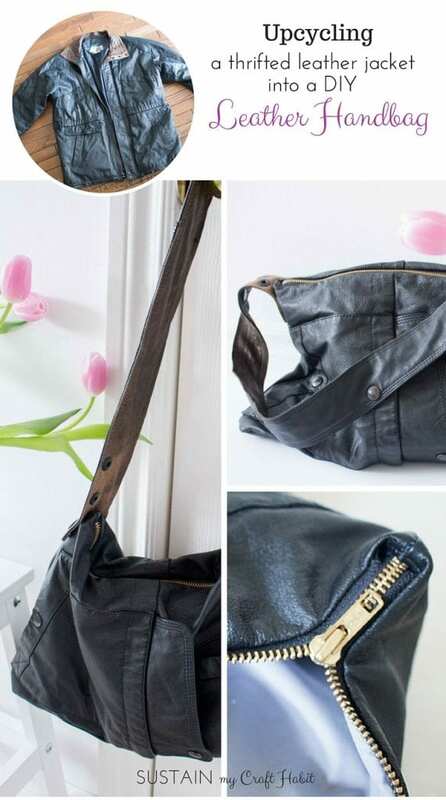 I really like your bag, and I can’t wait to see the clutch, such a great upcycle! Great job. Looking forward to making the clutch as well. Just need to pick up a new zipper for it! This is awesome! 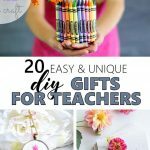 What a great idea and it turned out fantastic! Thanks, Jennifer! It was a lot of fun to make and am loving it as my new bag! AMAZING! Such a clever, beautiful transformation. You did such a great job!! 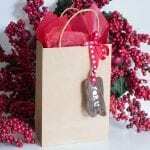 I am reading your blog and i get the valuable information about leather bag. I am impressed from this post. Your blog gives a lot of information regarding leather bag. Thanks for such post and please keep it up. 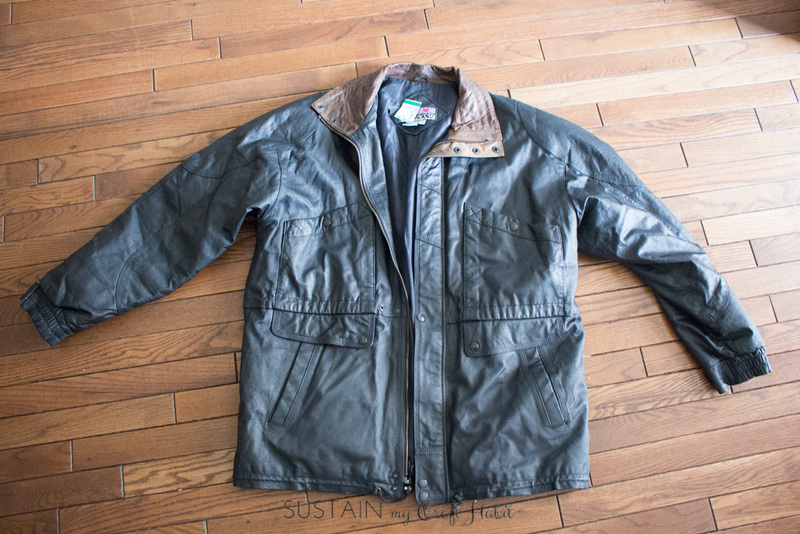 My father-in-law gave me his leather jacket mid last year, and he passed away on new years eve. I use it almost every day and I miss him a lot! He left us a sewing machine (he was into sewing; he actually made a lot of bags and satchels) and I thought that if the jacket gets too worn, I would love to create a bag with it, as it would be very fitting. 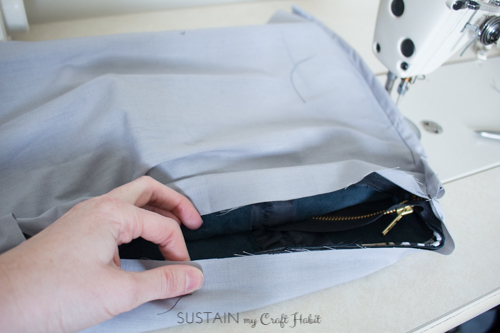 I have very little experience with sewing, but I will be willing to get good enough to make a great bag at some point. Thank you for the instructions and tips.